Chicago, Illinois – The Seventh Circuit Court of Appeals has ruled against Plaintiff Reginald Hart in an intell ectual property lawsuit filed against Amazon.com. Chicago, Illinois – The Seventh Circuit Court of Appeals held that an injunction against Defendants effecting a prior restraint on defamatory speech regarding the Plaintiffs was improper. This lawsuit springs from an Indiana event occurring in 1956 wherein Mary Ephrem, a Catholic Sister, claimed to have encountered a series of apparitions of the Virgin Mary. Those apparitions told her: “I am Our Lady of America.” A program of devotions to Our Lady began, which Patricia Fuller joined in 1965. When Sister Ephrem passed away, she willed her property to Fuller. Between Sister Ephrem’s efforts to register intellectual property pertaining to Our Lady and Fuller’s efforts, the program’s assets included both copyrights and trademarks. In 2005, Kevin McCarthy and Albert Langsenkamp volunteered to assist Fuller in promoting devotions to Our Lady. By 2007, however, the relationship had soured. Langsenkamp established the Langsenkamp Family Apostolate and McCarthy and Langsenkamp (and the latter’s apostolate) claimed to be the authentic promoters of devotions to Our Lady. They also claimed ownership to all documents and artifacts accumulated by Fuller and Sister Ephrem. Paul Hartman intervened on Fuller’s behalf, “launching a campaign to smear McCarthy’s and Langsenkamp’s reputations.” McCarthy and Langsenkamp, as well as the Langsenkamp Family Apostolate, sued Fuller and Hartman asserting tortious conduct, including conversion, fraud and defamation. Plaintiffs also sought a declaratory judgment that they had not infringed any of Fuller’s intellectual property. Fuller and Hartman counterclaimed, accusing Plaintiffs of theft, infringement and defamation. The district court conducted a jury trial that resulted in a verdict in favor of Plaintiffs, who were awarded compensatory and punitive damages, as well as attorney’s fees, sanctions and costs. The district court also issued an injunction prohibiting Defendants from making certain statements “as well as any similar statements that contain the same sorts of allegations or inferences, in any manner or forum” and ordered that Fuller take down his website. Judge Posner, writing for the Seventh Circuit, upheld the damages, fees and costs but vacated the injunction. He noted that, while the jury had held that Plaintiffs had been defamed, there was no specific indication regarding which of the many of Defendants’ statements had been deemed by the jury to be defamatory. Thus, by prohibiting all of the statements, the injunction was overbroad. Moreover, the injunction’s preamble greatly expanded the scope of the prohibited conduct by enjoining “any similar statements [that is, similar to the injunction’s specific prohibitions] that contain the same sorts of allegations or inferences, in any manner or forum,” as those listed in the body of the injunction. This was also held to be improper as overly expansive, as an injunction must be specific about the acts that it prohibits. The mandate within injunction that Hartman take down his website, made without a finding that everything published on the website defamed any of the Plaintiffs, was also held to be overly broad. The appellate court thus concluded that the trial court’s injunction could not be sustained. Without ruling that the law of the Seventh Circuit allowed the enjoining of defamatory speech, it held that, even were such an injunction permissible in the Seventh Circuit, the injunction issued by the trial court was vague, open-ended and overbroad; that it was thus a patent violation of the First Amendment; and that as a consequence the injunction must be vacated. Chicago, Illinois – One of the copyright lawsuits of Plaintiff Richard N. Bell of McCordsville, Indiana has been terminated by the trial court. Bell filed an appeal on multiple grounds with the United States Court of Appeals for the Seventh Circuit. This Indiana lawsuit alleged copyright infringement of a photo that Bell, an Indiana copyright lawyer and professional photographer, took and copyrighted. The photo, U.S. Copyright Registration No. VA0001785115, was of the Indianapolis skyline. Bell has sued numerous Defendants alleging copyright infringement of this photo. In this lawsuit, the Defendants were Cameron Taylor, Taylor Computer Solutions, Insurance Concepts, Fred O’Brien, and Shanna Cheatham, all of Indianapolis, Indiana. •	The district court’s entry of final judgment against Bell. Practice Tip: This is not the first time Bell has appealed in this litigation. We blogged about a prior appeal to the Seventh Circuit wherein Bell, after appealing, then argued that his appeal was premature and should not yet be heard by the appellate court. Indianapolis, Indiana – Earlier this month, Judge John Tinder officially retired from the United States Court of Appeals for the Seventh Circuit, stepping down after more than 30 years of federal service. Judge Tinder, a jurist who once described himself as a person with “too many hobbies” but “not enough time,” officially retired from the bench in early October. The announcement of his retirement inadvertently came not through the usual channels, but rather via a letter that he wrote in response to an unsolicited application that he received from someone seeking employment as a law clerk. In his reply, Judge Tinder wrote, “Thank you for applying for a clerkship with me. Your credentials are outstanding. However, I recently decided that I will be leaving the court in 2015 so I will not be hiring any additional clerks….” That letter was leaked to AboveTheLaw.com, which broke the news of Judge Tinder’s impending retirement. A lifelong resident of Indiana, Judge Tinder received both his undergraduate degree and law degree from the Indiana University – Bloomington. Prior to his appointment to a federal judgeship, he served as an Assistant United States Attorney for the Southern District of Indiana and, later, as the United States Attorney for the Southern District. In addition, he had engaged in the private practice of law in Indianapolis, had served as the Chief Trial Deputy for the Marion County Prosecutor’s Office and had been a public defender for the Criminal Division of the Superior Court of Marion County. Judge Tinder also taught as an adjunct professor at the Indiana University School of Law. ruling of the United States District Court for the Northern District of Illinois, Western Division in the matter of Sorenson v. WD-40 Company, holding that WD-40’s use of “inhibitor” and a crosshair graphic on its product labels did not constitute trademark infringement. Plaintiff Jeffrey Sorensen founded and is the CEO of a company that produces a line of rust-inhibiting products, which were first sold in 1997. 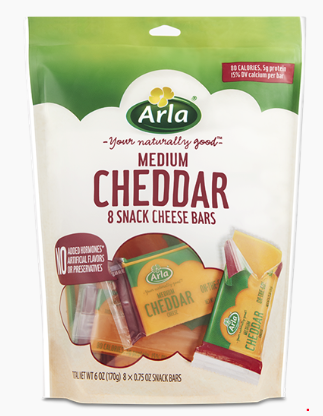 These products contain a substance called volatile corrosion inhibitor (“VCI”). Sorenson owns a federally registered trademark – THE INHIBITOR – for this line of products. He also claims common-law trademark rights to an orange-and-black crosshair design mark that is associated with these products. Chicago, Illinois – The Seventh Circuit affirmed the denial of attorneys’ fees under the Lanham Act by the District Court for the Southern District of Illinois. Plaintiff William Burford and Defendant Accounting Practice Sales, Inc. (“APS”) were parties to a contract under which Burford had agreed to market and facilitate the purchase and sale of accounting practices on behalf of APS. APS terminated the contract. Shortly thereafter, Burford started a competing business. For this business, Burford chose the name “American Accounting Practice Sales.” Burford also sued APS and Gary Holmes, the owner of APS, for breach of contract. The district court held for APS on the contract claim, reasoning that the contract between the parties was of indefinite duration and was therefore terminable at will. After this ruling in favor of APS, but before the district court could consider the counterclaim, APS voluntarily dismissed its counterclaim under the Lanham Act with prejudice. Burford then contended that, as the prevailing party on the Lanham Act claim, he was entitled to attorneys’ fees under 15 U.S.C. § 1117(a), asserting that APS’s pursuit of the Lanham Act claim was meritless and amounted to an abuse of process. The district court refused to grant attorneys’ fees on the theory that APS’s claim under the Lanham Act claim could have been pursued by a rational party seeking to protect its trademark. Burford appealed. As part of his appeal, he asked the Seventh Circuit to reverse the district court’s denial of his request for attorneys’ fees under the Lanham Act. Circuit Judges William J. Bauer and David F. Hamilton, and District Court Judge Sara L. Ellis, sitting by designation, heard the matter. The Seventh Circuit first held that the district court had erred in holding that the contract had not been breached. While indefinite-term contracts are by default terminable at will, it noted that the parties had contracted around that general rule by providing that APS could terminate the contract only if Burford violated the terms of the contract. On this issue, the Seventh Circuit reversed the district court. On the question of attorneys’ fees, the Seventh Circuit affirmed the district court. Under 15 U.S.C. § 1117(a)(3), district courts have the discretion to award attorneys’ fees to those prevailing under the Act in “exceptional cases.” Such an “exceptional case” within the meaning of the Lanham Act can be found in those cases where the district court determines that the decision to bring the claim could be called an abuse of process. The Seventh Circuit noted that Burford had failed to persuade the district court that the pursuit of the claim was objectively unreasonable or was intended to harass or to obtain an advantage unrelated to winning a favorable judgment. Consequently, because decision whether to award attorneys’ fees under the Lanham Act is left to the district court’s sound discretion, the lower court’s refusal to grant such fees was affirmed. Chicago, Illinois – California attorney Leslie S. Klinger, co-editor of multiple collections of annotated works based on Arthur Conan Doyle‘s Sherlock Holmes fiction sued Conan Doyle Estate, Ltd. under the Declaratory Judgment Act in the Northern District of Illinois seeking a declaratory judgment that he may freely use material from those Sherlock Holmes works for which copyright protection has expired. The district court held that Klinger’s use of material that was no longer subject to copyright was permissible. The Seventh Circuit affirmed. Arthur Conan Doyle published 56 stories and 4 novels featuring the fictional character Sherlock Holmes. Of these stories, only the final 10, published between 1923 and 1927, are still protected by copyright. Leslie Klinger, Plaintiff-Appellee, co-edited an anthology called A Study in Sherlock: Stories Inspired by the Sherlock Holmes Canon. Klinger had not sought a license from Doyle’s estate, presuming that one was not necessary, as the copyrights on most of the works in the “canon” had expired. The estate disagreed and demanded that Random House, which had agreed to publish Klinger’s book, pay $5,000 for a copyright license. Random House acquiesced and, in 2011, the anthology was published. 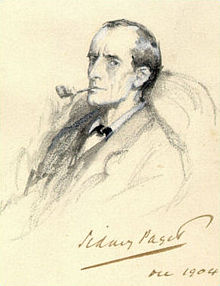 The trouble began when Klinger and his co-editor decided to create a sequel, “In the Company of Sherlock Holmes” and entered into negotiations with Pegasus Books, a publisher. The Doyle estate again demanded a fee for a copyright license and threatened to interfere with distribution of the book if that copyright license fee was not paid, telling Pegasus, “If you proceed instead to bring out Study in Sherlock II [the original title of “In the Company of Sherlock Holmes”] unlicensed, do not expect to see it offered for sale by Amazon, Barnes & Noble, and similar retailers. We work with those compan[ies] routinely to weed out unlicensed uses of Sherlock Holmes from their offerings, and will not hesitate to do so with your book as well.” No threat of a lawsuit for copyright infringement was explicitly made. Pegasus subsequently refused to publish the book unless and until Klinger obtained a copyright license from the Doyle estate. Instead of purchasing a license, Klinger sued the estate seeking a declaratory judgment that he could freely use any material from the Sherlock Holmes works for which the period of copyright protection had expired. The district court held in Klinger’s favor. The estate appealed to the Seventh Circuit on two alternative grounds. The estate first contended that the district court lacked subject matter jurisdiction under the Declaratory Judgment Act because there was no “actual case or controversy.” Second, it asserted that a copyright on a “complex” character, whose full complexity is not revealed until a later story, remains protected under copyright law until the later story falls into the public domain. Circuit Judge Posner, writing for the court, rejected both arguments. The “case or controversy,” necessary for federal jurisdiction was demonstrated by the estate’s “twin threats” of blocking the distribution of the book and the implied threat of a copyright lawsuit against the publisher, Klinger and the book’s co-editor for copyright infringement if the book were published without a license. That such a case or controversy existed was also demonstrated by the fact that Klinger could have sued on a claim of tortious interference with advantageous business relations as a result of the estate’s intimidation of his publisher. The court could find no basis in statute or case law to support the extension of a copyright beyond its expiration. Thus, it affirmed the uncontested matter of copyright protection for the later works – namely, a right to recover for copyright infringement still existed for some portions of the Sherlock Holmes works for which the copyrights had not yet expired. However, that protection was limited to only those elements of the later Sherlock Holmes works that included “incremental additions of originality.” The remainder, the court opined, had passed into the public domain, regardless of the dimensions of the characters portrayed. Chicago, Illinois – Indiana trademark attorney Paul B. Overhauser, on behalf of K.T. Tran and Real Action Paintball, Inc., a California corporation (collectively “RAP4”), argued before the United States Court of Appeals for the Seventh Circuit that the trademark infringement suit brought in the Northern District of Indiana by Advanced Tactical Ordnance Systems, LLC, an Indiana corporation (“ATO”), was not properly before the Indiana court, as it lacked personal jurisdiction over RAP4. The Seventh Circuit agreed and instructed the district court to dismiss the complaint. RAP4 and ATO are competitors in the “irritant projectile” market. Unlike the more familiar game of paintball, in which a paint-filled sphere is shot at opponents as part of a war game, these irritant projectiles are used by the police and military to intervene in hostile situations where lethal force is unnecessary. While paintballs are filled with paint, irritant projectiles use capsaicin, the active ingredient in pepper spray. Irritant projectiles, thus, allow law enforcement personnel to use less-than-lethal force from a distance. Among the many issues in this lawsuit, including assertions by ATO of trade-dress infringement, unfair competition and misappropriation of trade secrets, were allegations that RAP4 had infringed the trademarked term “PEPPERBALL,” to which ATO claimed ownership. That trademark, Registration No. 2716025, was issued in 1999 by the U.S. Trademark Office to a non-party to this suit. The trouble began when another company, non-party PepperBall Technologies, Inc. (“PTI”), began to have financial problems. PTI had also been a competitor in the irritant-projectile market. To address its difficulties, PTI held a foreclosure sale, the validity of which was hotly contested. ATO claimed that it had purchased PTI’s trademarks – including “PEPPERBALL” – and other property during this foreclosure sale. During the time that PTI ceased its operations and was attempting to convey its assets, RAP4 was contacted by an executive of non-party APON, a company which had manufactured some of PTI’s irritant projectiles. He asked if RAP4 was interested in acquiring irritant projectiles from APON. RAP4 agreed to purchase irritant projectiles from APON. After having negotiated this access to APON’s machinery, recipes, and materials – which had had at one time been used by PepperBall Technologies Inc. – RAP4 announced this fact to the people on its e-mail list. Specifically, it stated in its e-mail that it had acquired access to, “machinery, recipes, and materials once used by PepperBall Technologies Inc.” It was this language to which ATO, which claimed to be the successor in interest to PTI, particularly objected. 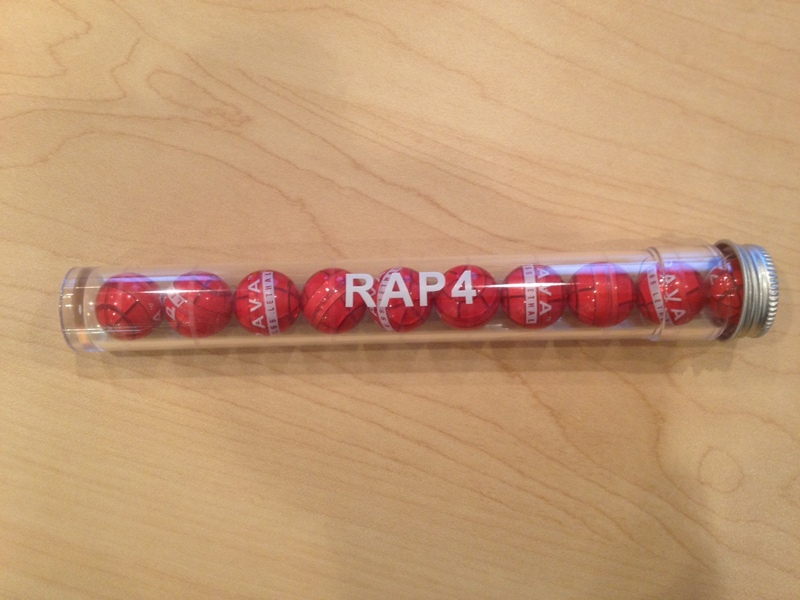 ATO sent a cease-and-desist letter to RAP4. In response, RAP4 added a disclaimer that it was not affiliated with PTI. ATO then sued in the Northern District of Indiana. It claimed several different theories of recovery, including intentional violations of the Lanham Act, 15 U.S.C. § 1111 et seq., common law trademark infringement and unfair competition, trade dress infringement, and misappropriation of trade secrets. Of particular interest to the Seventh Circuit in addressing this Indiana trademark litigation was the issue of personal jurisdiction over RAP4 in the Northern District of Indiana. RAP4 contested that such jurisdiction over it was lacking. ATO countered that RAP4 had sufficient contacts, including a “blast e-mail” announcement from RAP4 that would suffice for jurisdiction in Indiana, stating that “many [RAP4 customers] are located here in the state of Illinois. I mean, state of Indiana.” It also contended that RAP4 regularly e-mailed customers or potential customers from all over the United States, including Indiana, and that RAP4 had made at least one sale to an Indiana resident. The Seventh Circuit remanded the case to the Indiana district court with instructions to vacate the judgment and dismiss the complaint for lack of personal jurisdiction. Practice Tip #2: Personal jurisdiction is an essential element of federal court jurisdiction, without which the court is powerless to adjudicate the matter before it. However, a defendant’s argument that personal jurisdiction does not exist can easily be waived inadvertently by the incautious litigant. In this case, an evidentiary hearing regarding personal jurisdiction was conducted in December 2012. It was only by careful preservation of this argument by trademark counsel for RAP4 while litigating in the district court that the appellate court was able to hear RAP4’s claim and reverse the district court. Practice Tip #3: This case was successfully argued before the Seventh Circuit by Paul B. Overhauser, Managing Partner of Overhauser Law Offices.